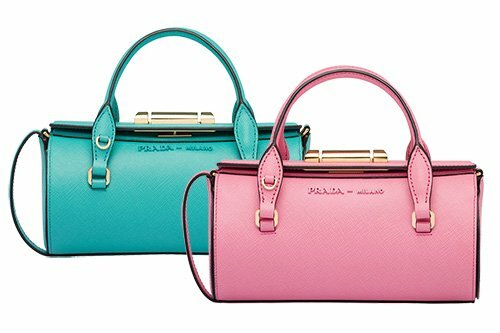 Noted as one of the most popular brands in the fashion industry, Prada has delivered classy and sophisticated designs that instantly penetrate the fashion world and become the must-have item for ladies around the world. Although founded back in 1913, Prada has continued to generously expand and become a highly influential fashion line that every woman craves. Boasting with the elegance staple to Prada, the Prada Saffiano Lux Tote is unmistakably the most iconic bag of the fashion line. Although made in Italy, this exemplary bag is easy to spot and is undoubtedly one of the most wanted bags across the country- and for good reason. 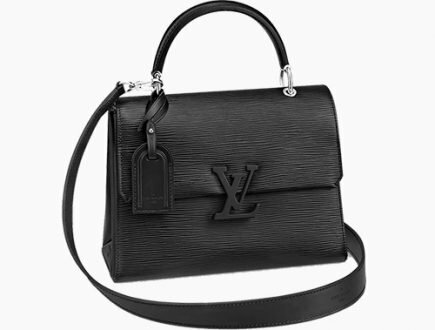 It is, of course, the example of pure sophistication and is one of the highest rated bags in the handbag industry. 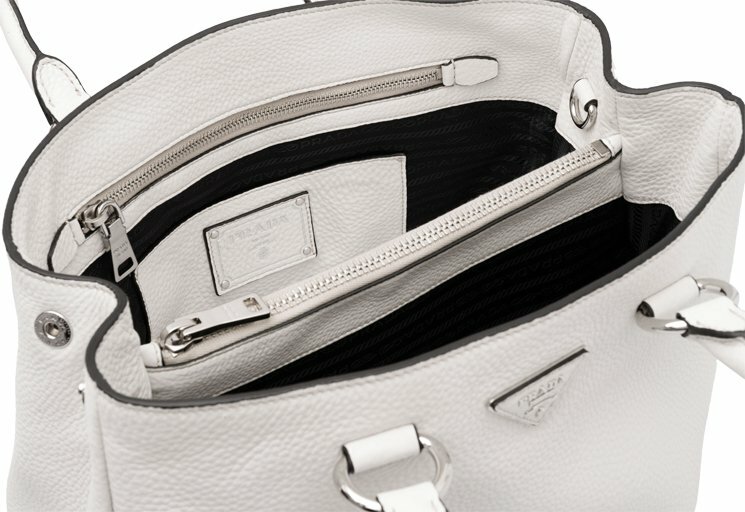 Women love the beautiful Saggiano Leather and double handles, making it perfect for easy carrying on-the-go. 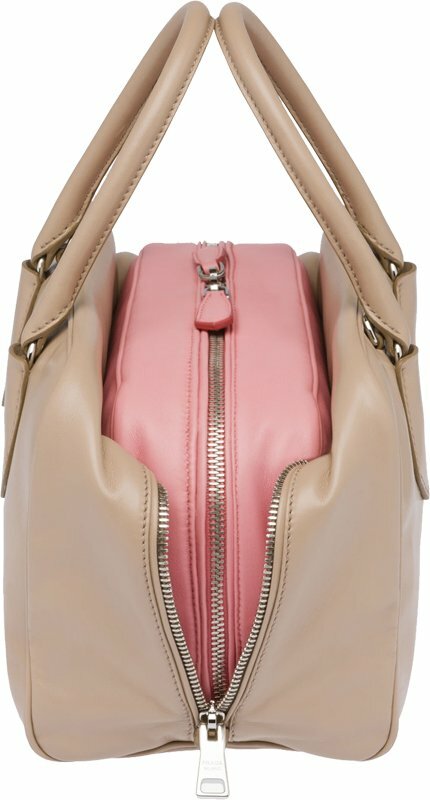 Showcasing utter refinement and a unique design, the bag also includes a removable shoulder strap when you just want to throw your bag over the shoulder and head to the trendy downtown shops. 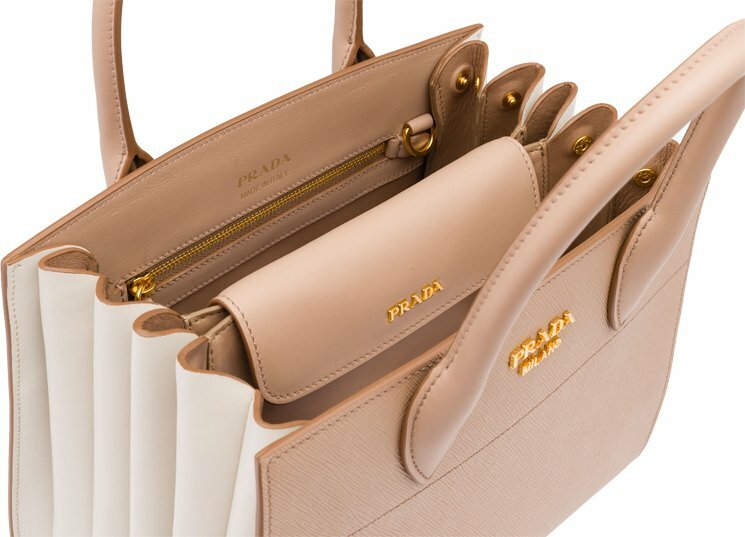 Besides an extremely chic exterior, the Prada Saffiano Lux Tote is also popular thanks to its easy open top, welcoming women to a roomy interior with plenty of space for all your on-the-go items. Plenty of space with a logo jacquard lined interior and a gorgeous outer appearance? Let’s face it: this is the bag you need in your collection. Let’s face it: women love ruffles. They just have a certain cuteness and femininity about them. And if you can find ruffles in a Prada bag, it’s an obvious win. I guess that’s why the Prada Gaufre Tote is such a huge hit amongst women of all ages. The Prada Gaufre Tote gives us the ability to combine the classiness of Prada in an adorable and fun way- with plenty of ruffles and an overall stylish design we love. Not to mention you can use this bag as a simple handbag or throw it over the shoulder for a trendy look. This bag matches almost any style you pair it with, and an open interior makes for a handy space all your essentials can fit into. 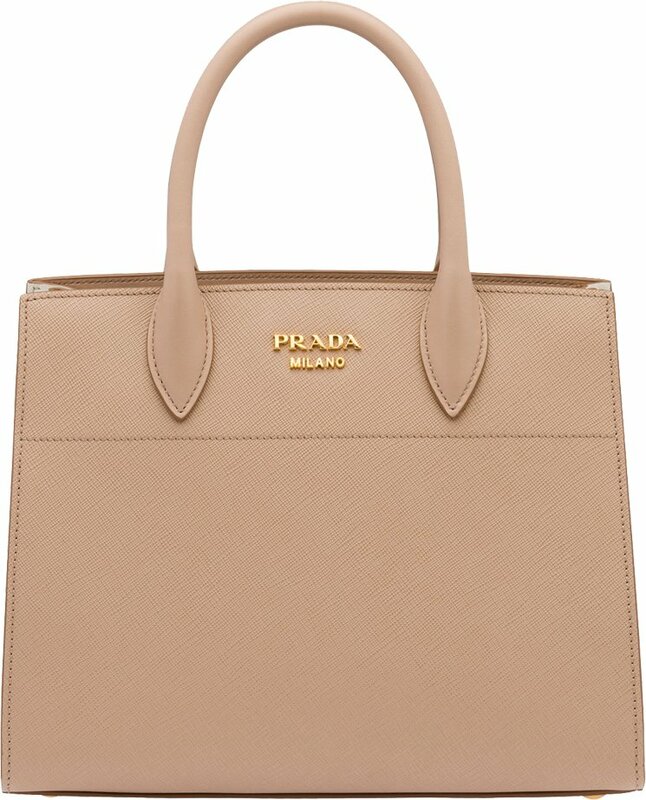 It’s clear: The Prada Gaufre Tote is a must-have for feminine ladies with quirky attitudes. A little bit rugged, a little bit naughty- this classy bag with a pinch of grungy attitude comes with all the finest bells and whistles you could ever dream about. Similar to the Prada Gaufre Tote yet boasting its own set of rules and styles, the Prada Gaufre Tessuto Tote is undeniably one of Prada’s most wanted bags. It has it all; from the adorable ruffled exterior to the gorgeous gold plated lining that catches the eye immediately. With the option to wear as a handbag or throw across the body, this tote is as versatile as it is exemplary. Wear this bag with your favorite mini-dress or mix and match with a pair of blue jeans and cropped leather jacket for styles that really rock. For the lady in need of a luxurious bag oozing with class, the Dettagli Tote is the answer. This extremely popular tote bag designed by Prada offers simplicity with a subtle design that showcases high-style fashion we love. Created with breaktaking calfskin leather, the Dettagli Totes are as wonderful to look at as they are to touch. Ladies enjoy the immense amount of storage space offered on the inside, including two separate pockets for added storage. A subtle leather traingle with logo lettering seals off this gorgeous double handled bag, and the extra removable, adjustable shoulder strap makes it easy to carry in different ways. The perfect bag for trips to the office or the finest occasions. Warm weather calls for none other than the The Prada Diano Tote Bag- another one of Prada’s most famous bags. This handbag is available in a wide array of brilliantly vibrant colors that give off the summer mood, while uniquely designed tall handles give this bag an easy-to-grab feel that ladies can bounce around with all summer long. Besides it’s enthusiastic and bright color scheme, this enchanting tote bag features contrasting topstitching for a really exotic appearance. Women love that they can easily carry this bag down for a beachside stroll, or take it to the fanciest diner with their girlfriend’s and still look exceptional. 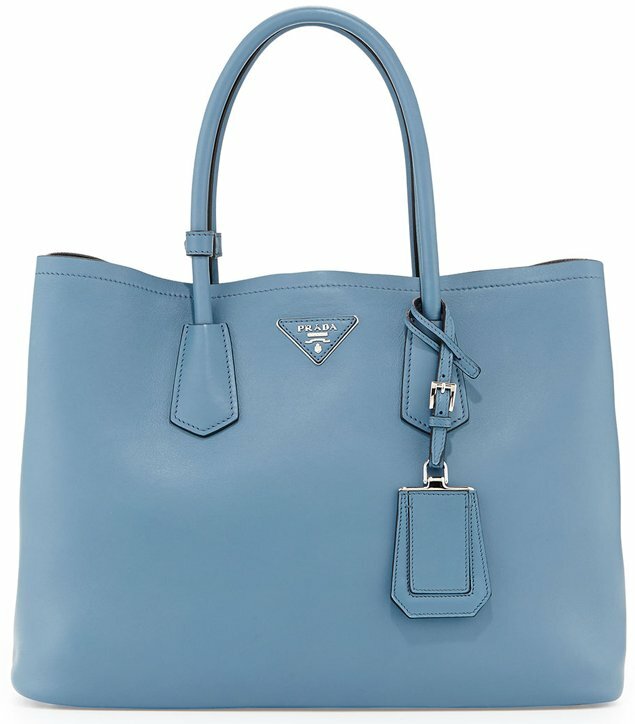 The Prada Saffiano Cuir Tote Bag is the epitome of fashion, an exquisite masterpiece that should be worn to any and all high class events and functions. Its exterior is made with the incredibly popular and patented saffiano leather, known for its sensational diamond stitching and resilience to scratches, scuff marks- even water. 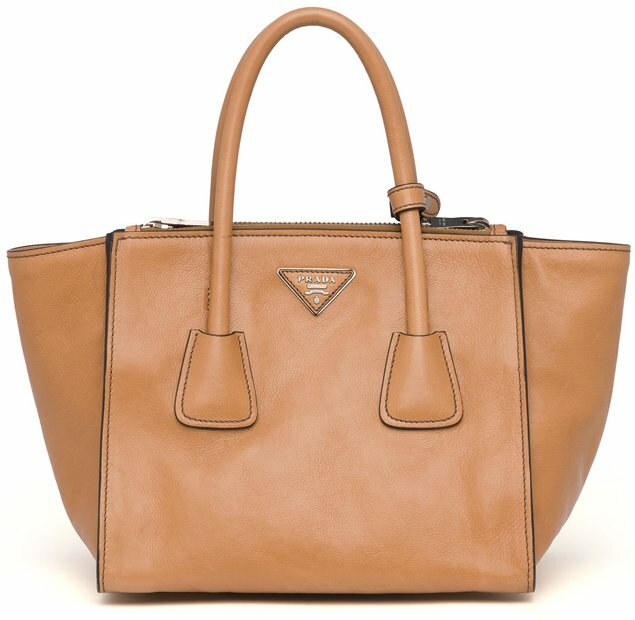 But the attractive and beloved leather isn’t the only thing to love about the Prada Saffiano Cuir Tote Bag. The rolled tote handles make this bag easy to carry, and the expandable snap sides makes it easy to switch up your style. The interior is aligned with gorgeous contrast leather lining and a magnetic flap pocket divider for easy storage of all your essential items. Completed with a fancy (removable) hanging ID window, this tote easily gets an 11 out of 10. This lovely Prada Saffiano Cuir Twin Bag has “businesswomen” written all over it. 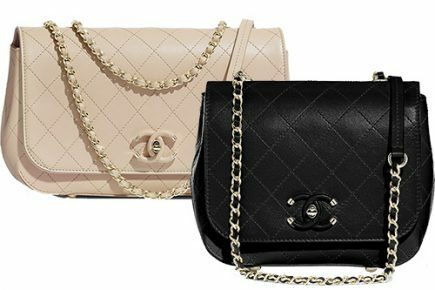 It’s a highly sophisticated piece made with only the finest saffiano leather, the diamond quilted sensational leather that every fashionista dreams of owning. The box-like shape of this bag gives it plenty of well-loved structure that can easily suit a business or casual setting with ease. We love the addition of appealing silvertone hardware while the hanging buckled luggage tag gives this piece a casual undertone- not to mention the leather triangle with logo lettering for an extra dash of famous fashionista flavor. On the interior you’ll notice one zip and three open pockets, perfect for carrying all your essentials, while the center zip compartment divides it up in an easy-to-use fashion. Use the double turn-locks to keep your goodies secure and enjoy this sensational piece for many months. The Prada Saffiano Gardener’s Tote is a dashing number that can be accompanied anywhere- to the mall, to the Grammy’s, even to a meeting in Town Hall. There’s so much to love about this particular tote, from the ever-popular and super trendy gusset sides to the beloved patented saffiano leather exterior with gorgeous diamond stitching. It’s an incredibly durable number that will last for ages, and you’ll love how lightweight and handy it is. On the interior you’ll find plenty of compartments and pockets to suit all your needs while the magnetic-snaps keep all of your belongings safe, secure, and organized. Finished off with stunning golden hardware and a hanging key ring, we feel this bag gets a solid 10 out of 10. If you’re seeking an out-there bag with its own personality, the Prada Saffiano Vernice Dote Tote is your answer. This funky yet fashionable piece is a must-have for any Prada Collection as its unusual look allows you to switch things up while still staying up-to-date. 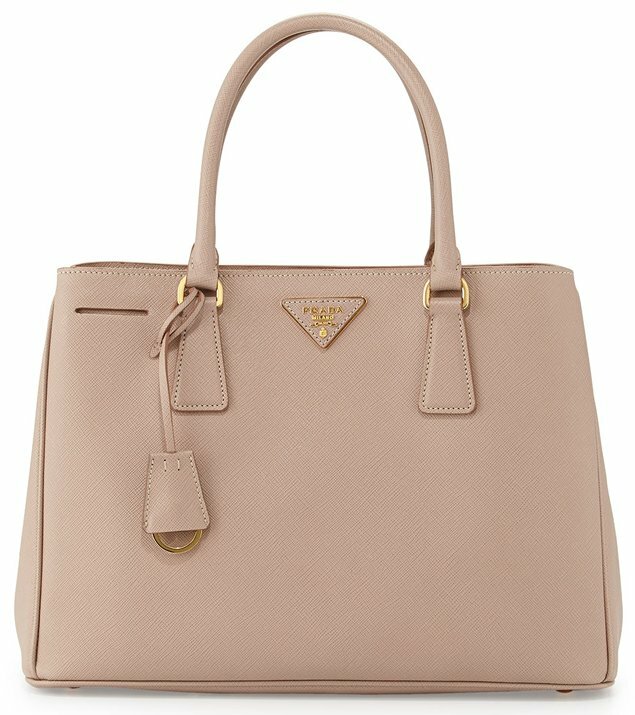 The Prada Saffiano Vernice Dote Tote comes with a clever dome shape that is calm, clever, and cool, with a casual feel that can be brought anywhere. Surprisingly lightweight, this tote comes with the ever-popular, sturdy and durable saffiano leather that will last for a lifetime. We love the addition of gorgeous golden hardware and the hanging covered key ring to complete the style. Enjoy utmost style and a funky attitude with this cute tote! 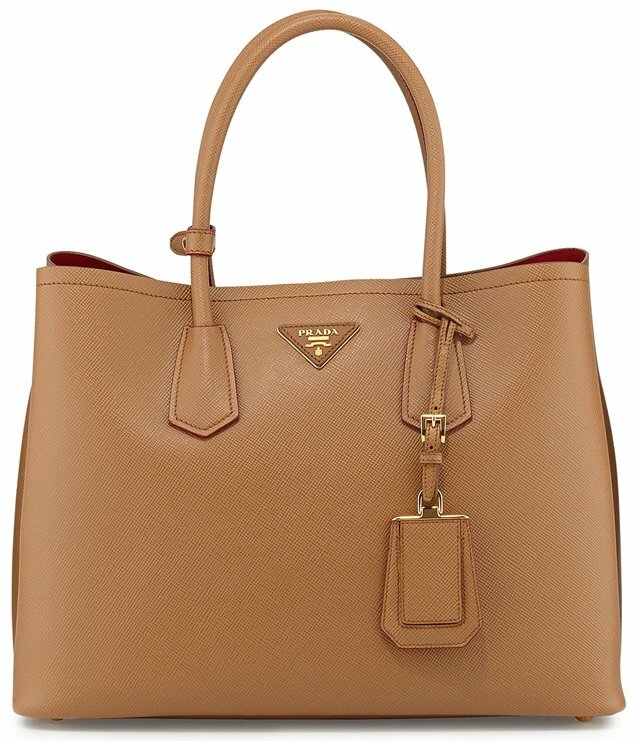 Fancy, sleek, and soft, the Prada Twin Pocket Tote bag is certainly a top pick amongst Prada enthusiasts. This particular piece comes with the sensational and structured calfskin we all adore, while the silver hardware looks pleasing against the eye. This bag comes with very comfortable rolled tote handles with a snap-button strap and a removable shoulder strap so you can switch things up in a second. The ultra-wide gusset sides only add to the trendy look of this chic tote, and we’re loving every second of it. Aside from a mod and exquisite exterior, this handy tote includes one zip and one slip pocket for plenty of storage aligned with an eye-catching logo jacquard lining that’s always a huge hit. Metal feet protect the bottom of this sensational bag, which makes the Prada Glace Calf Twin Pocket Tote a very long-lasting piece you can wear for years. Prefer a larger bag to get the job done? 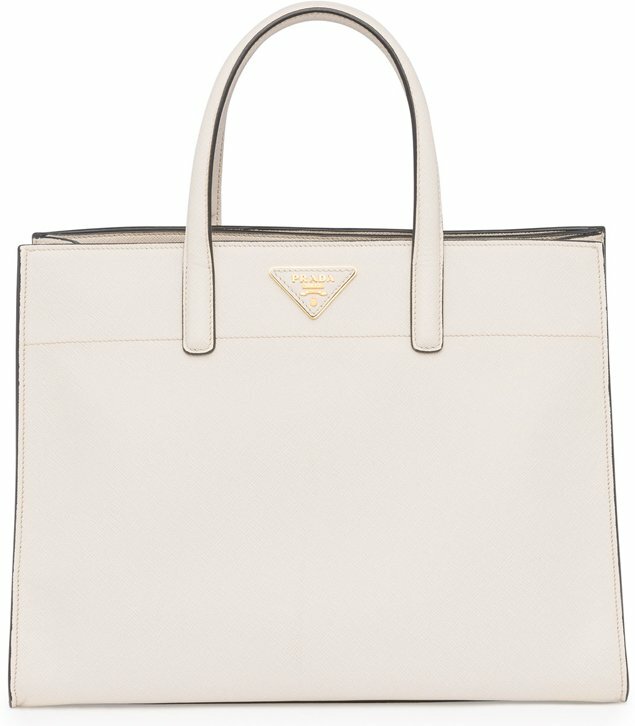 Then this exclusive Prada Saffiano Soft Tote Bag is your only option. This gorgeous, extra large tote is a must-have for ladies who love a larger accessory. It comes with a beautiful, extra soft saffiano leather exterior that is not only pleasing to the eye but sensational to the touch. Not to mention the sturdiness of saffiano leather keeps this bag looking fresh and new even after months of use. This big piece can easily store all of your must-have items, big or small. It’s perfect for the office yet versatile enough to run off to the mall or a dinner party. Ladies love the inclusion of one zip and two open pockets for smaller items while the open top makes it easy to reach in and grab your goodies. What can we say? We love everything about this oversized tote. The Promenade is certainly a bag unlike anything you’ve seen before. It has a very casual yet sophisticated appearance that lacks a box-like structure, thus giving it a free and boundless appearance that’s certainly a knockout. We love the inclusion of tonal topstitching against the beloved saffiano leather, giving it some serious edge and fashionable attitude that can’t be dismissed. 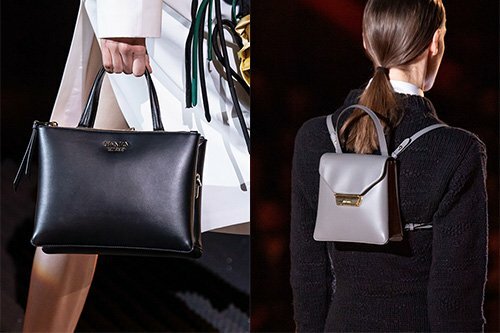 All in all the Prada Saffiano Vernice Promenade Bag is a hit. It has a uniquely shaped body complete with handy rolled tote handles and double zippers around the opening for an added touch of security and trend. 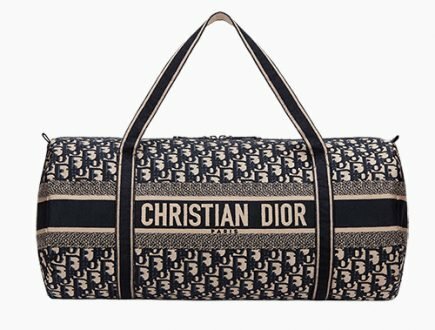 You’ll be surprised this bag weighs less than 2 pounds! What’s not to love about this exquisite and totally unique looking piece? “Simplicity at its finest”. That’s truly the only way to describe the Prada Saffiano Large Executive Tote Bag. It’s not overwhelmed with any fancy styles or jewels- and let’s face it, this bag doesn’t need it. It makes a huge statement all on its own. It’s a rather large piece with a very structured, business like style that makes it perfect for in the office or fancier occasions. With the inclusion of gorgeous saffiano leather, the bag gets a bit of detailing on the exterior to spruce it up a bit. 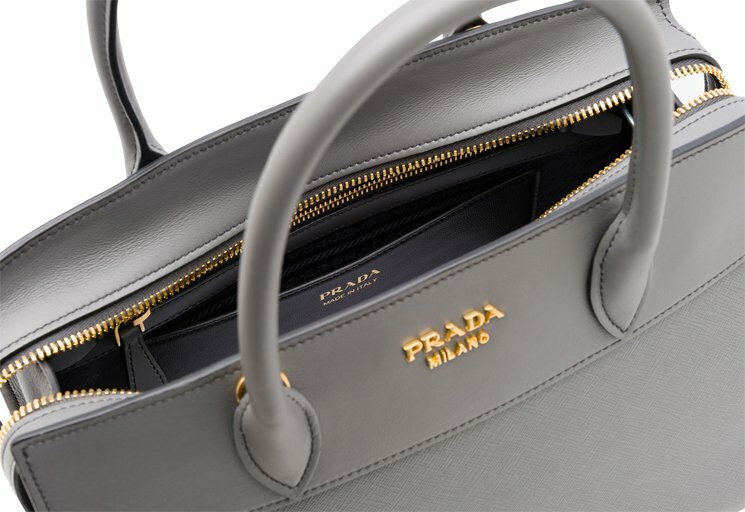 If you’re looking for an understated bag that is fashion forward and cool, then the Prada Saffiano Large Executive Tote Bag is the tote you need. 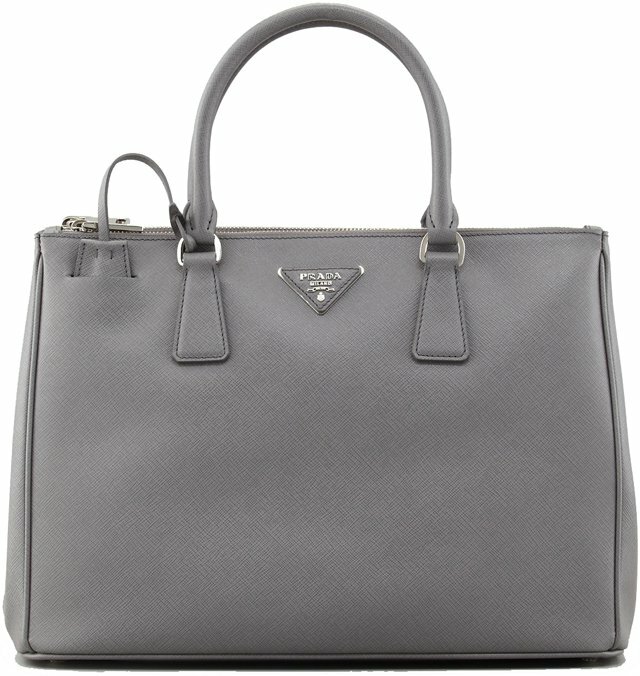 Prada City Turn-Lock Twin Bag is simply a stylish and hip piece that you can take literally anywhere. It’s super versatile and this city bag makes for a show-stopping piece that can’t be missed. It’s made with gorgeous calfskin so the exterior is sleek and smooth, very appealing to the eye and even nicer to the touch. We love this trendy bag because it has the sleek factor we adore alongside silvertone hardware, giving it a luxurious touch we can’t ignore. The top is secured with double turn-locks, leading to the roomy interior where you can easily place all of your essential items. 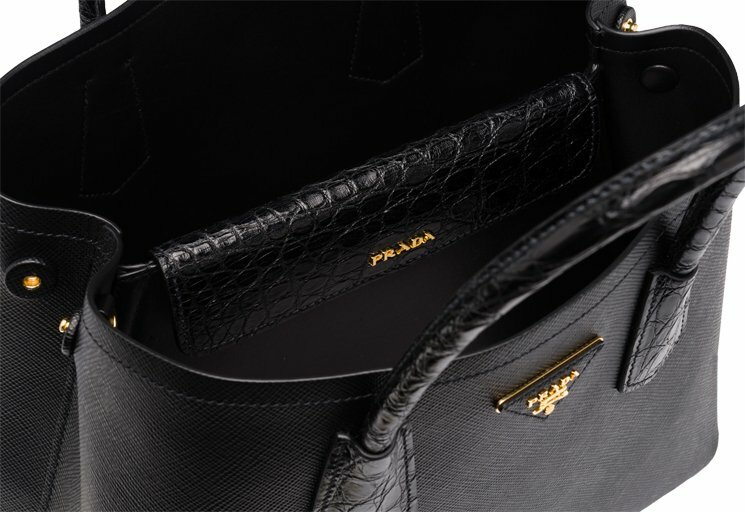 All in all, the Prada City Turn-Lock Twin Bag easily gets 10 out of 10 stars. The Prada City Double Bag is a gorgeous accessory that has just the right combination of structure and freedom. The somewhat slouchy yet luxurious exterior makes it easy to go from an office bag to a nightlife bag while the smooth and soft exterior makes it very classy and chic. We love the look of this bag, but what we love even more is the roomy interior where you fit almost anything. Completed with a trendy leather triangle with metal logo lettering on the exterior alongside a hanging buckled ID tag, this particular bag has city style written all over it. Definitely a must-have for any Prada fan! 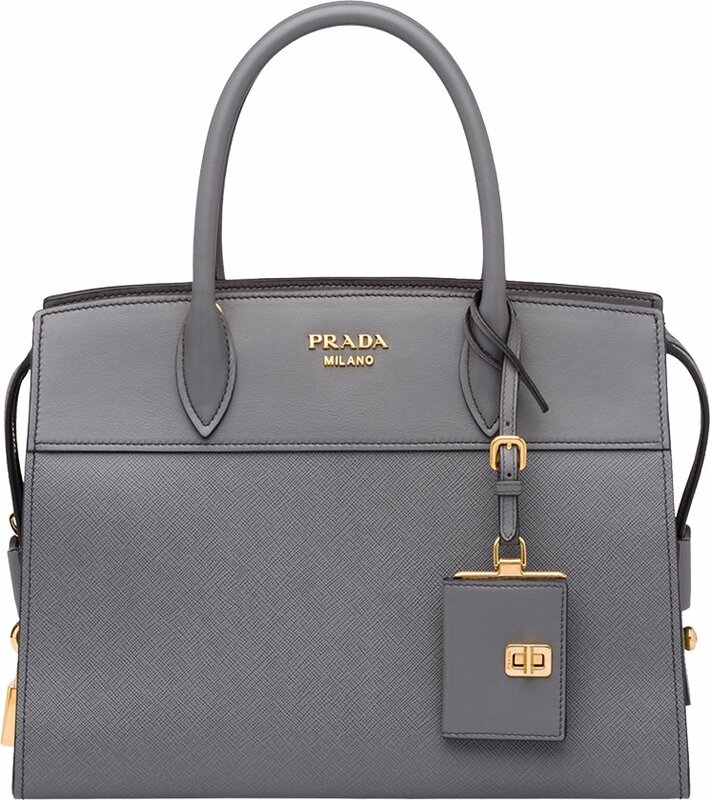 Could someone please tell me what the original cost was for the Prada grey Vitello Shine Bauletto handbag? Thank you for your help! 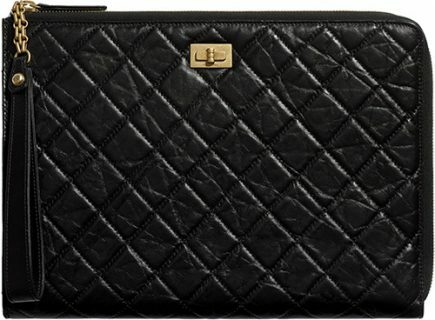 Do you have any idea how much the Prada Saffiano wallet costs in Hong Kong? I think it’s cheaper in Hong Kong being a tax-free country. Thanks Alex. Hi Kim, we do not have the data of the prices in HK. But do note that designer product prices are generally higher in HK. And tax-free has nothing to do with it, the retail price might be higher anyway. Could you tell me how much my B4126 saffiano 053 is worth? Hi how much Prada Gaufre tote Small size. where can i buy from singapore. Hi ! I am visiting hongkong in June ! 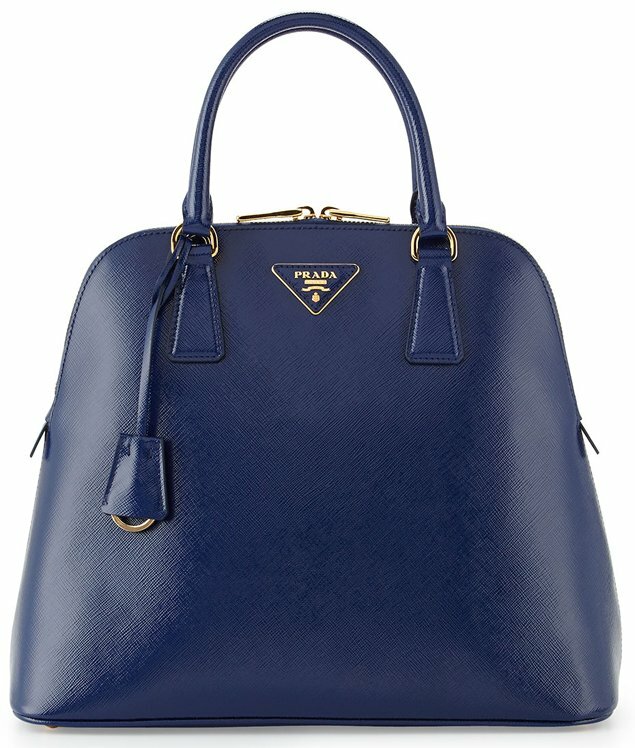 I would like to buy a prada saffiano lux tote the biggest size . Could anyone tell me the price in Hongkong dollars ??? Thanks ! Anyone know this Prada travel bag 2VC350_064_F0002_V_OOO Weekend in South Korea price?? 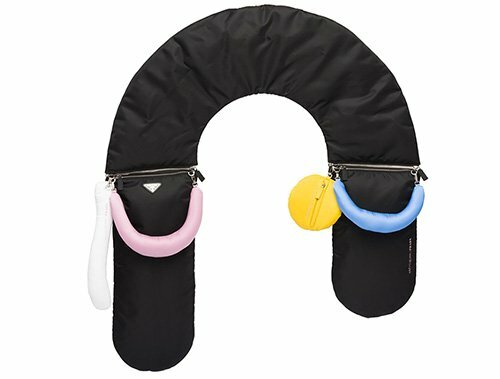 Are the dettagli or twin pocket totes still available in stores or outlets? Hi Kiva, for as far as we know, both of these bags are no longer available. Hi, How much is Prada Calf Galleria Bag?Thanks. 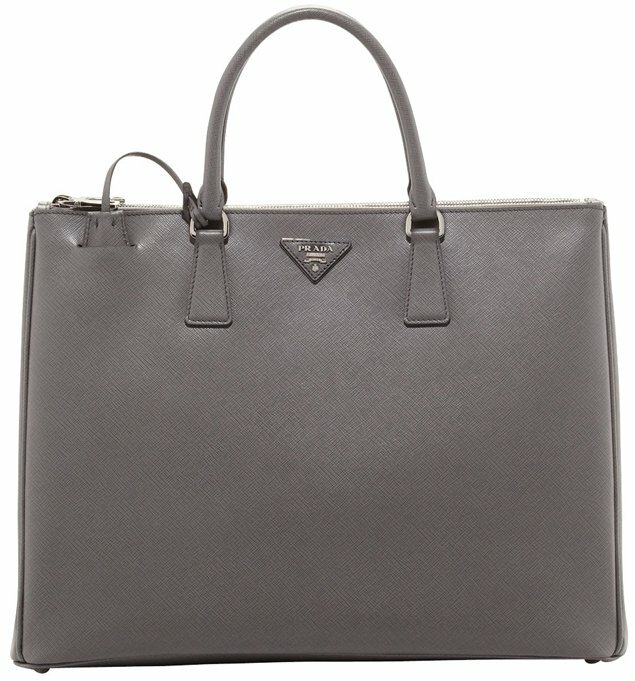 How much is Prada Br4253 in Italy? 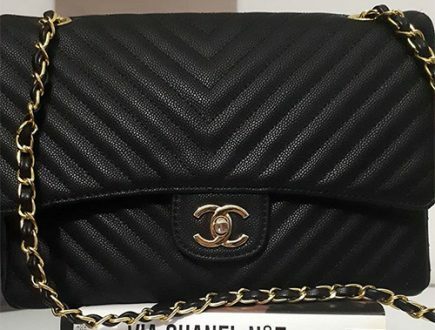 Hi Belle, this bag is from an older collection, I don’t think they still hv this one in store. How about in Prada outlets? Any idea how much they sell the br4253? Hi Belle, there is no way we can check the prices of these bags in outlets. Hi would you mind sharing where can I get the Prada Gaufre Tessuto range in Italy or Paris? Check with the Prada boutique, they’ve plenty of stores in Italy alone. The price of Prada Biblioteque bag in Italy. Hello! Do you have any idea how much a brandnew prada bn2794 cost? Could anyone tell me the current price for a b1786T and where can I find it please. I heard it’s a version of Bn1786 with attachable strap. The latest price was $1800 USD. 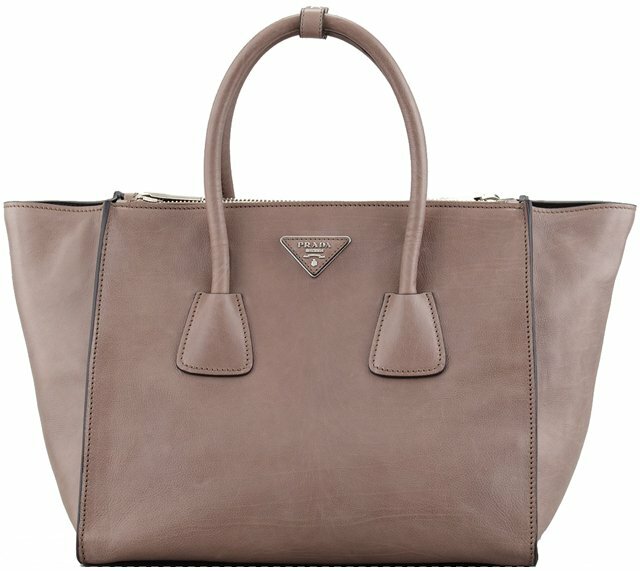 We haven’t heard much about the Prada Saffiano Lux Tote Three years ago, this bag was very popular. I am not sure what happened that caused the popularity to decrease. The new Prada bags are not very catchy imo. The Prada Double Tote Bag are also doing very well. 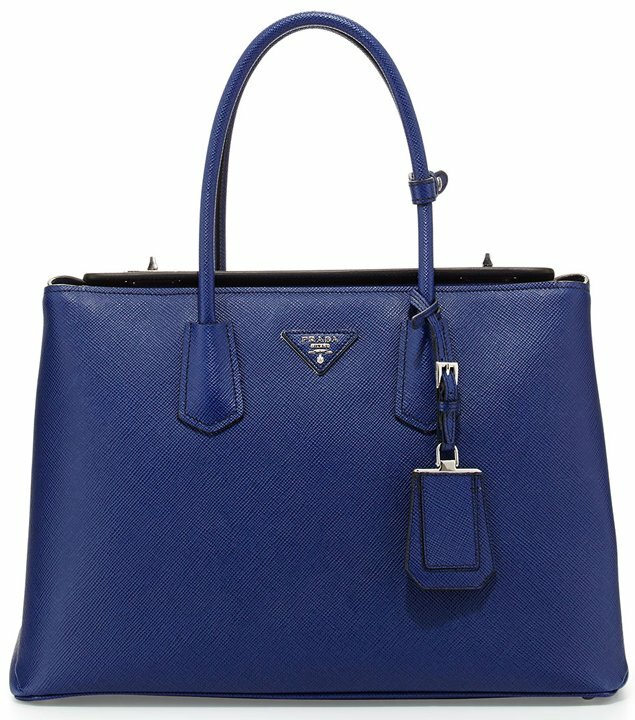 May i know what is the price for a brand new prada BR3925 tote bag? Hi K123, is this bag made from nylon? i sell my prada bag for only 3000 pesos. 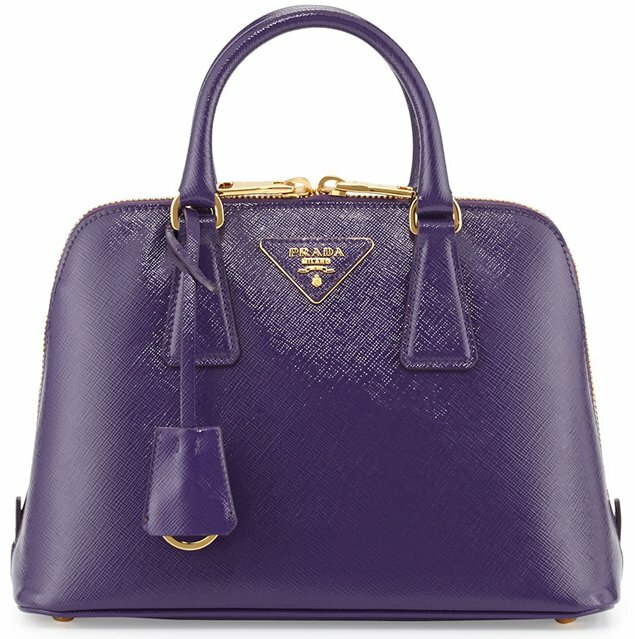 Prada Tessuto Gaufre BN1336 is not available in Prada boutique in Paris! Guess it has been discontinued. But it is still available in Singapore Prada boutique at SGD$2550.